 Nitrogen ... helping YOU see lives changed and urban communities transformed. Whether you are a current or potential planter, church, network, or business leader, Contact Phil Struckmeyer at 317.315.0158 or pstruckmeyer@nitrogennetwork.net to set-up a time begin your journey of engagement!!! What is the Christian Community Development Association? The CCDA, in its most rudimentary description, is a network of Christians engaged in the transformational work of a holistic gospel. The CCDA is made up of grassroots leaders and practitioners committed to a holistic framework of incarnational ministry focusing on the proclamation and formation of the gospel, the demonstration of compassion, restoration and development, and the confrontation of injustice to see people and communities holistically restored. The vision statement of the CCDA is to see “Holistically restored communities with Christians fully engaged in the process of transformation.” Its mission statement is “To inspire, train, and connect Christians who seek to bear witness to the Kingdom of God by reclaiming and restoring under-resourced communities.” At the heart of the practice of the CCDA is what is referred to as the eight key components of the CCDA philosophy. The eight components are relocation, reconciliation, redistribution, leadership development, listening to the community, church-based, holistic, and empowerment. While the holistic framework and eight components of the philosophy represent the building blocks of the CCDA, the genesis of the vision, mission, framework, and philosophy go much deeper into the social, political, and economic conditions of the twentieth century. Two predominant forces created the poverty and injustice experienced in Perkins’ life. First, the personal and institutional racism experienced by Perkins, which he attributes to the deification of a greed-based capitalism, and second, the accommodation of racism and injustice by the white evangelical church. Perkins’ exposure to and experience with the civil rights and social gospel movements were critical to the vision, mission, and philosophy he would set for the CCDA. In the article “A Quiet Revolution and Culture Wars,” Peter Slade refers to the origins of the CCDA in the civil rights and the social gospel movements. The story of the Civil Rights movement dramatizes the moral failure and cultural captivity of the white evangelical church in the United States of America. Evangelicals’ active resistance to integration in the 1960s stemmed from their rejection of the social gospel movement and separation from modernist and progressive Protestants earlier that century. John Perkins’ unique experience, having been raised in Mendenhall, Mississippi and returning there in the 1960s to start the Voice of Calvary Ministries, placed him in the middle of the collision of the civil rights and the social gospel movements. The context Perkins found himself in was where, Slade writes, “The notion that the gospel of Jesus Christ is good news not just to an individual’s soul but also to his or her whole person and community …” The reality, however, was the social injustice of personal and systemic racism was being accommodated by the greater part of the white evangelical church in the South, and in spite of being a gospel that calls the church to be a voice of justice and reconciliation, the church sat silent and unengaged. It is in this context of racial injustice and an accommodating white-evangelical church that the CCDA began. John Perkins’ ministry in Mendenhall is where the three “R’s” of the CCDA first developed. Through the ministry philosophy of relocation, reconciliation, and redistribution, a holistic gospel that was true to both the social gospel and civil rights movements was able to come against the racial and social injustice taking place. Over the next two decades a voice and practice of hope emerged in the ministry amidst such injustices. Perkins began networking with other leaders from across the country engaged in similar work with the urban poor and at-risk communities. Perkins soon found himself surrounded by many like-minded leaders, with a strong majority of them being from the white evangelical church. As a result of the informal networking connections developing, a group of leaders surrounding John Perkins advised him to hold several events on a national scale. The initial events were called Jubilee. In 1980 and 1982, the first two gatherings of leaders and practitioners took place, drawing 500 and 700 people, respectively, to Jubilee. The initial success of the Jubilee events led to regional mini-conferences developing from 1985 to 1988. The regional mini-conferences led to the eventual convening of an organizational meeting of what would officially become the CCDA. This organizational meeting took place in Chicago, Illinois in 1989 and set the stage for the first CCDA National Conference. Over the next ten years, the gatherings of the CCDA National Conferences grew to a peak of 3,500 hopeful leaders and practitioners sharing in the vision, mission, and philosophy of a holistic gospel being carried to broken, urban communities through evangelism, compassion, development, and the confrontation of injustice. While acknowledging some threat of institutionalization from the organizing and addition of structure, the CCDA continued to develop and grow. In 2010, the annual conference drew 2,500 participants, and approximately 15,000 leaders and practitioners were engaged in the expansion of the vision, mission, framework, and philosophy of the CCDA. As of 2016, the CCDA is going through another season of transition, having hired an additional organizational consulting firm that is currently recommending changes to the organizational structure. The hope for the next season of the CCDA is to stay true to its grassroots social gospel and civil rights movement origins, while continuing to develop a greater uprising of a holistic gospel against the racial and social injustices of the urban poor and at-risk communities across America. Ultimately, what could be deemed a social movement within the church emerged across the country through the development of the CCDA. With the ideology of the vision, mission, holistic framework, and CCDA philosophy, along with the organizing and meeting patterns consisting of leading grassroots leaders and practitioners, a prophetic voice emerged in the church in North America and around the world, speaking up for the urban poor, vulnerable, and marginalized with a vision of hope and restoration. Wayne Gordon and John Perkins, Making Neighborhoods Whole (Downers Grove, IL: IVP Books, 2013), iBooks edition, Afterword. “Vision,” Christian Community Development Association, accessed April 16, 2016. http://www.ccda.org/about/vision-mission. “Mission,” Christian Community Development Association, accessed April 16, 2016. http://www.ccda.org/about/vision-mission. “Philosophy,” Christian Community Development Association, accessed April 16, 2016. http://www.ccda.org/about/ccd-philosophy. Gordon and Perkins, A Tale of Two Activists. Ibid., A Tale of Two Activists. John M. Perkins, “Christian Community Development,” YouTube video, 49:11, February 11, 2013, accessed April 3, 2016, https://www.youtube.com/watch?v=duCvy6YTT_o. Peter Slade, Charles Marsh, and Peter Goodwin Heltzel, Mobilizing for the Common Good: The Lived Theology of John M. Perkins (Jackson, MS: University Press of Mississippi, 2013), 60, Kindle edition. Gordon and Perkins, Christian Community Development Comes Together. Understanding the five dimensions of a holistic gospel is a critical component in a prevailing church planting and multiplication strategy for The Wesleyan Church. It is the five dimensions of a holistic gospel that create a learning journey that inspires, equips, and mobilizes The Wesleyan Church from its rural-based, white-evangelical past to approach the urban, multiethnic, and socioeconomically divided context of urban poor communities with a voice of justice and reconciliation to combat the injustices of systemic racism and poverty. Noel Castellanos is a leading practitioner and current CEO of the CCDA. In recent years, he has developed five dimensions of a holistic gospel, essential to ministering the whole gospel, to the whole person, for the good of the whole of society. The five dimensions are: 1. incarnation; 2. proclamation and formation; 3. demonstration of compassion; 4. restoration and development; and 5. confrontation of injustice. The first dimension of Castellanos’ framework of a holistic gospel is incarnation. In Castellanos’ words, “At the center of God’s salvation narrative is the amazing idea that through Christ God invades our human reality—en carne, or in the flesh—to rescue and restore creation.” Wayne Gordon, in his book Making Neighborhoods Whole Again: A Handbook for Christian Community Development, notes, “The incarnation—God’s coming to earth in human form to live and breathe and walk and work and minister among us—illustrates God’s desire to be present with those he has created. We read in Matthew 1:23 that among the names Jesus would be called is ‘Immanuel,’ which means ‘God with us.’” Following God’s salvation and restoration model, ministry to the urban poor should reflect this same entering into the full reality of the lives and community desiring to be loved and served. Castellanos describes proximity, relationship, solidarity, and humility as key elements for the church, or for anyone being called to reach urban poor communities, to consider when living out the dimension of incarnation. Proximity is the consideration of the physical distance between those wanting to reach urban poor communities and their residential location. Relationship is the consideration of social distance. Is true friendship being pursued or are the lives in urban poor communities just targets to be hit? Solidarity is the consideration of distance from the true pain and injustices of the lives in urban poor communities. And humility is the consideration of posture as urban poor communities are entered. Is a paternalistic approach taken or a true servant-learner attitude that believes in the potential, dignity, and capacities of the lives going to be reached? In my estimation, what has made John Perkins’ life and teaching so powerful is the fact that the biblically informed philosophy of Christian community development he has championed was developed from within the context of rural and urban poverty in the United States; that is, it has not been imported into our communities from the outside. Instead of imposing a theology and methodology on the poor, this movement has sprung up from the difficult soil of the ’hood and the barrio, which makes it authentic and relevant to our leaders and our neighborhoods. The second dimension of Castellanos’ framework of a holistic gospel considers the proclamation of the gospel and the practices of spiritual formation. The biblical basis is rooted in the Great Commission. “Therefore, go and make disciples of all the nations, baptizing them in the name of the Father and the Son and the Holy Spirit. Teach these new disciples to obey all the commands I have given you. And be sure of this: I am with you always, even to the end of the age.” At the heart of this dimension sit what the church would traditionally term evangelism and discipleship. However, Castellanos describes the traditional proclamation pattern of the church toward urban poor communities as “drive-by evangelism.” This type of evangelism is an uniformed blitz by a mission team or outreach effort that brings individuals equipped with a basic salvation message and method, such as being able to share the “bridge illustration” based on Romans 6:23, to an urban poor community to “evangelize the lost.” This mode of evangelism, according to Castellanos, does more damage than good over time as the social, physical, and economic conditions of a community are left in ruin and there are not any relationships or follow-up processes to the evangelism that takes place. Directly related to the lack of relationships and the void of any follow-up, the lack of an authentic and true discipleship method becomes unfaithful to the Great Commission. Castellanos writes, “Our Great Commission task is to make disciples and to reinforce the teachings of Jesus in the lives of his followers.” To be faithful to the Great Commission, having discipleship relationships that allow a journey of formation to be experienced is essential. Castellanos believes the role of incarnation is essential for the gospel to be spread and formed in others. The gospel proclaimed through a life that has come to live in a neighborhood and a life that offers a relationship of formation that teaches obedience to the teachings of Jesus is the great need for evangelism and discipleship in urban poor communities. The scriptural basis for this dimension is from James 1:27 and the stories of the Good Samaritan and the goat and sheep sorting that will come at final judgement. James 1:27 reads, “Pure and genuine religion in the sight of God the Father means caring for orphans and widows in their distress and refusing to let the world corrupt you.” The story of the Good Samaritan challenges the hurried and busied with noticing and acting towards others in need, and Jesus’ teaching on final judgment declares that what is done for the “least of these” is what is “done to him.” A holistic gospel lives out such a compassion among the poor, vulnerable, and marginalized. Restoration and development is the fourth dimension of a holistic gospel. The CCDA often refers to the biblical account of Nehemiah when describing this dimension. In referring to Nehemiah, Castellanos writes, “His calling is instructive for those who feel a call to the work of restoration and development. In the same way God called Jeremiah and other prophets to speak truth to the people of Israel—in the same way he called Ezra to rebuild the temple—God called Nehemiah to rebuild Jerusalem.” This emphasis on the rebuilding of a neighborhood, community, or city sits at the heart of restoration and development. The biblical basis for this concept is found in Jeremiah 29:7. “Work for the peace and prosperity of the city where I sent you into exile. Pray to the LORD for it, for its welfare will determine your welfare.” The emphasis is placed on how the welfare of the city determines the welfare of the church. Castellanos points out how too many times churches focus on their internal ministries to determine their success and effectiveness, sometimes to the exclusion of all other metrics. There are many examples of where churches have deemed themselves successful while the community they are located in sits unimproved, left alone, perhaps even worse off because of the presence of the church. Castellanos claims, “Perhaps the greatest contribution the CCDA has made to the body of Christ is to elevate the kingdom ministry of restoration and development in the most underresourced neighborhoods of the United States.” Castellanos continues, “Economic and community development were central to the strategy of Christian community development from the early days; we saw the connection between adequate housing, employment, and quality education and the presence of local churches, and a family’s ability to thrive and flourish.” The ability for the body of Christ to think about and contribute to the holistic restoration of urban poor neighborhoods and communities is essential to a holistic gospel. The last dimension of a holistic gospel is the confrontation of injustice. This fifth dimension is probably best described by the long-time practitioner of the CCDA, Mary Nelson. Nelson often uses the illustration that, while it is important to continually pull drowning people out of a river, at some point it is important to go see what is pushing them into the river in the first place. The scriptural basis for the need to confront injustice is rooted in Amos 5:11-12. Most Christians have an easy time acknowledging individual human sinfulness. But when it comes to the sinfulness of institutions, systems and structures, things seem less clear. … The more serious believers get about addressing the needs of the poor and marginalized, the more we are able to see that it is not just the bad behavior of individual people that creates poverty and despair but also the oppressive systems at play. Alexia Salvatierra, in her book Faith-Rooted Organizing: Mobilizing the Church in Service to the World, expresses the need for a holistic gospel to confront injustice. Salvatierra believes while development is needed, the church must go beyond development and demand organizing and strategic advocacy. Organizing is defined as bringing people together to create systemic change. Advocacy is the process of creating accountability by working with governmental and corporate leaders for them to make public commitments to the use of their power to create necessary change. While merely introductory, Salvatierra provides a clear path to pursue for deeper exploration and understanding of how the church can be a part of effecting systemic change. When we minister in underresourced communities and only focus on proclamation and formation, it is not enough. When we simply focus on the demonstration of compassion, it is not enough. When our efforts only address restoration and development, it is not enough. And, no matter how important, when we only strive for the confrontation of injustice, it is not enough. But when we embrace a kingdom approach to ministry alongside our neighbors, our life and our message truly become good news. With Jesus as our example, may we become pioneers who heed God’s call to incarnate ourselves as agents of the kingdom. Noel Castellanos, Where the Cross Meets the Street: What Happens to the Neighborhood When God Is at the Center (Downers Grove: IVP Books, 2015), 17. Robert D. Lupton, Compassion, Justice, and the Christian Life: Rethinking Ministry to the Poor (Ventura: Regal Books, 2007), 31. Rev. Alexia Salvatierra and Peter Heltzel, Faith-Rooted Organizing: Mobilizing the Church in Service to the World (Downers Grove: IVP Books, 2013), 8. While the five dimensions of a holistic gospel comprise an essential framework of the Christian Community Development Association, the eight key components of the CCDA philosophy create a path that could further develop a prevailing church planting and multiplying strategy for the urban context. The eight components are, again: relocation, reconciliation, redistribution, leadership development, listening to the community, church-based, holistic, and empowerment. Following the path of the CCDA philosophy demonstrates the development of a prevailing church planting and multiplication strategy that prepares and equips The Wesleyan Church to approach the urban, multiethnic, and socioeconomically divided context of poor communities with a voice of justice and reconciliation. The first component of the CCDA philosophy is relocation. Closely connected to the dimension of incarnation, relocation is the paramount component of the CCDA philosophy. Charles Marsh and John Perkins, in the book Welcoming Justice: God’s Movement Toward Beloved Community, define relocation as follows, “Relocation means incarnational evangelism, the lived expression of the great Christological theme that Jesus Christ ‘did not consider equality with God something to be grasped’ but took on ‘the very nature of a servant (Philippians 2).” Relocation is the first phase of a strategy for considering planting and multiplying in urban poor communities. The greatest challenges to relocation are the issues of fear and economics. When considering relocating to a socially and economically oppressed community, significant commitment and sacrifice is required to fully enter into the lifestyle of the poor and vulnerable. The challenge and sacrifice is only compounded when relocation involves a family. Personal sacrifice is difficult, but to bring children into unfamiliar and disadvantaged neighborhoods and schools knowing the trajectory of their relationships and educational opportunity could change significantly is another depth of consideration. The significance of developing the component of relocation is it helps to restore the theologies of community, neighboring, and place that the “American Dream” and a capitalistic culture of individualism, consumerism, and materialism seem to strip. First, a theology of community, defined as realizing the need for and value of interdependence as opposed to independence, confronts individualism. Relocation develops a theology of neighboring, where the person next door matters and is a part of the interdependence of lives that are intertwined, not merely living in on parallel tracks that never cross. And a theology of place is developed through the component of relocation by expanding the thoughts and intentionality of where someone chooses to live beyond cultural comfort and convenience to focus on Kingdom purposes. Where Christ-followers live can be a part of gospel-purpose in their lives. While paramount to the CCDA philosophy, relocation also has the potential to do great damage to poor, vulnerable, and marginalized lives and communities. “We must take great care to insure that our Christian community development philosophy of relocation does not inadvertently encourage the kind of gentrification that will ultimately work to the disadvantage of the poor.” Similar to gentrification, relocating with a paternalistic or imperialistic attitude will have far greater negative impact than the hope and help that was intended. A posture of interconnectedness and humility is required. An additional aspect of relocation is what can be described as social relocation. While a physical relocation of moving from a rural or suburban neighborhood or relocating from one urban community to another is the primary emphasis of relocation, the idea of socially relocating by changing where you drive, shop, eat, get gas, and spend your leisure time can have a significant impact on entering a different social reality. Who you spend time with, where your relationships are built, whose home you are in, and who you have into your home are significant ways of relocating into the issues and situations that lead to transformational relationships through interconnectedness and an entanglement of lives with the urban poor. According the CCDA philosophy, reconciliation is a three-step journey of admitting, submitting, and committing. Admitting is the acknowledgement of broken relationship. Whether between the individual and God, between neighbors, or between people groups, when issues exist between two parties and relationships are different than how God intended, admittance is needed. Next, submitting acknowledges that only God can heal broken relationships, yielding to him as the restorer of all. Submission to God and to one another is essential in reconciliation. And thirdly, committing to a lifestyle of reconciliation that involves lasting trust and partnership sustains the journey. Reconciliation in the context of the US church is of course not only a black and white issue. People of many different cultures and ethnicities now live, work and worship in close proximity, especially in urban areas, presenting significant opportunities to be a witness for Christian unity. Reconciliation happens when people are open to listening to one another and to changing their attitudes and beliefs. As we listen to other people’s stories and get to know their hopes and concerns for the present and future, we begin to identify one another’s deepest felt needs—those hurts and longings that bring opportunities to connect with people on a deeper level, which is always necessary for true reconciliation. A third component of the CCDA philosophy is redistribution. Redistribution, as defined within the context of CCDA, is about people, community, economics, and justice. The concept of redistribution can begin to be understood through the basic concepts of helping people, summarized by the popular sayings, “Give a person a fish, and she will eat for a day. Teach a person to fish, and she will eat for a lifetime.” The CCDA philosophy takes this line of thinking one step further, asking the question, “Who owns the pond?” At the heart of redistribution is the reality of creating opportunity and access to the resources necessary for under-resourced lives and neighborhoods to be restored in holistic and sustainable ways. While economic development is a primary means of redistribution, addressing educational access and opportunity might be the most significant resource that can be redistributed. Gordon and Perkins write, “One could easily make the case that the single most important avenue for creating fair opportunity is education. Education is the great equalizer, a major pathway to redistribution.” Whether through after-school tutoring, neighborhood reading programs, or summer remedial opportunities, increasing the access, opportunity, and quality of an education creates a true hope in urban poor communities. As redistribution takes place in urban poor communities, the holistic gospel is put to test, as not only is there great opportunity for the demonstration of compassion and restoration and development, but redistribution should lead to the confrontation of injustice. Gordon and Perkins explain, “Redistribution means sharing talents and resources with the poor, but it also means observable changes in public policy and voting habits. Public policy would need to be accompanied by a Christ-shaped willingness to offer one’s skills and knowledge as gifts to others.” Gordon and Perkins go on to assert that the heart for justice is best expressed through redistribution. Redistribution for the CCDA means, in part, striving for justice—especially in underserved communities. It means working to bring justice to our criminal courts and prison system, to hiring practices and housing policies, to the educational system. We need to work to change laws, policies and attitudes that give some people unfair advantages over others. Justice should not be available only to those with the economic means to acquire it. Redistribution cannot be separated from efforts to pursue social justice. Next, the component of leadership development becomes essential to the CCDA philosophy. According to Gordon and Perkins, “Leadership development flows naturally out of the three R’s—relocation, reconciliation and redistribution.” As relocation can lead to reconciliation, and reconciliation can lead to redistribution, the opportunity to develop, or intentionally allow for the development of, the lives within the community is a significant piece of the philosophy of CCDA. A process of developing leaders that expresses the CCDA philosophy in the urban poor communities is outlined by Gordon, having been developed through his experience in the neighborhood of Lawndale in Chicago, Illinois. Gordon lists eleven components to growing leadership: 1. See fifteen years into the future; 2. Never go anywhere alone; 3. Be available/socialize with them; 4. Expose them to role-models; 5. Have your family be a part of your ministry; 6. Travel with them; 7. Love! Love! Love! ; 8. Be positive and affirm them; 9. Give them responsibility and let them fail; 10. Make them feel important; 11. Having an education is not the same as being a leader. This outline emphasizes the need for leadership development practices that develop indigenous leaders as well as emphasizes the life-on-life relationship that is necessary. Additionally, a key component of leadership development is the need to focus on children and youth. Because of the generational nature of the decay of leadership in urban poor communities, having a long-term plan that raises up leaders out of the brokenness they have experienced is important. Developing ways for them to be able to live and lead others to flourishing and fulfilled lives is key. A long-term vision helps to not only raise up leaders to “get out” and “escape” the neighborhood, but sets a foundation for them to remain or return after college to the neighborhood to break the cycle of the leadership void. The fifth component of the CCDA philosophy is listening to the community. As described by Gordon and Perkins, “In sum, listening to the community enables us to build relationships and to uncover the qualities, talents and abilities the community has to address and eventually solve its problems.” The dynamic of who identifies, problem-solves, and ultimately ends up providing solutions to the issues and opportunities in urban poor communities is a significant element of the philosophy. ““The CCDA philosophy, rooted in the conviction that the people with the problems have the best solutions, affirms the dignity of individuals and encourages the community to identify and use its own resources and assets to bring about sustainable change.” A very different dynamic is created in an urban poor community when outsiders feel they know the strengths and weaknesses or the needs and opportunities of the community better than the community itself. This unfavorable dynamic is most simply identified as paternalism. This approach and attitude is toxic and great efforts must work to intentionally avoid any expressions of paternalism. CCDA ministries have increasingly taken an approach to listening popularized by John McKnight and Jody Kretzmann, cofounders of the Asset-Based Community Development Institute … In contrast to grant-providing foundations, which typically want to hear about a community’s needs, McKnight and Kretzmann focus on a community’s assets—its resources. Far too many churches believe only needs exist in urban poor communities and are blind to their great resources. Ideas, dreams, attitudes, gifts, talents, and skills abound in urban poor communities. The component of the CCDA philosophy of listening to the community gives such human capacity the potential to be discovered. The next component of the CCDA philosophy is church-based. The church-based philosophy helps to keep a holistic gospel rooted in the local church. This component is important to help prevent organizations and ministries that may focus on incarnation, demonstration of compassion, restoration and development, and/or the confrontation of injustice from missing the proclamation and formation responsibilities of the whole gospel. Being church-based keeps the message of salvation and responsibility of disciple-making central to the philosophy of the CCDA and focuses on the local church in accomplishing the preaching of God’s word and the equipping of Christ-followers. The church—followers of Christ gathered as a community—is God’s chosen change agent for ministry. The church consists of people, and of course all people are flawed. But imperfect though it is and always will be this side of heaven, the church is nevertheless the blueprint God has ordained for his people to gather as a worshiping community and to minister and witness to the world. The parish model sits at the center of the CCDA’s philosophy for being church-based. Gordon and Perkins point to the uniqueness of a church’s presence in a community: “The community of God’s people—the church—is uniquely capable of affirming the dignity of the poor, which includes providing people with the skills and opportunities they need to meet their own needs.” Efforts to accomplish God’s work apart from the local church have limited value. While centered on proclamation and formation, the parish model helps live out an incarnational presence, aiding the whole of the community. The seventh component of the CCDA philosophy is holistic. As emphasized by the five dimensions of a holistic gospel, the holistic component of the philosophy emphasizes the gospel’s implications beyond the individual and their spiritual needs to include the whole person and the whole of society. Conversely, as much as a person’s physical, mental, and emotional needs must be supported and a community needs broad solutions to complex problems, salvation and spiritual matters can’t be left out of the picture. Evangelism, social action, economic development, and justice must all be attended to. The holistic component of the CCDA philosophy helps bring accountability to the balance of exercising the full implications of the gospel to urban poor communities. Lastly, empowerment is the eighth key component of the CCDA philosophy. Empowerment in CCDA terms is about “an attitude of humility and generosity. It’s about sharing resources and giving away power in responsible ways for the sake of God’s kingdom and for the sake of the poor and voiceless, who occupy a special place in that kingdom.” Empowerment helps to restore God’s image in urban poor communities. The CCDA philosophy of empowerment has three important aspects to be regarded as true empowerment rather than subtle charity. First, people must have the opportunity to have their needs met. Second, they must have the opportunity to contribute to having their needs met. Third, when a sustained path of having needs met and being able to contribute for those needs is established, helping others have their needs met is essential. Whether basic human needs of food, shelter, and clothing, to needs of love, belonging, purpose, and significance, empowerment is needed in urban poor communities. Empowerment taking place at these three levels allows a God-created dignity and purpose to be made visible in those who have had their basic human dignity and purpose stripped by the realities of urban poor communities. Charles Marsh and John Perkins, Welcoming Justice: God’s Movement Toward Beloved Community (Downers Grove, IL: IVP Press, 2009), 28. Gordon and Perkins, Leadership Development. Ibid., Listening to the Community.